When the page breaks is used to adjust the print area in a worksheet in excel , this would show up as dotted lines in the worksheet. 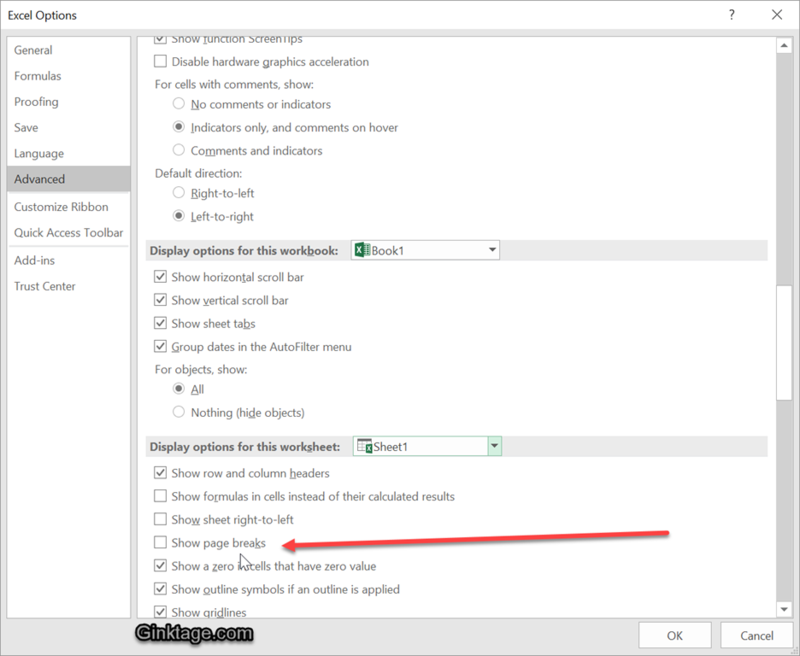 You can un-hide the page breaks from the worksheets by un-selecting the “Show Page Breaks” option from Microsoft Excel Options Dialog Window. Follow the below steps to hide page breaks in worksheets in Microsoft Excel. 1. Navigate to File (Office Button) -> Options in Excel. 2. In the Excel Options dialog , select “Advanced” from the left sidebar and uncheck the “Show page breaks” checkbox under the “Display options for this worksheet” section. 3. Click OK button and now you should notice that all the page breaks would be hidden from the worksheet.